Preliminary subdivision approved for this 66 x 115' south facing property. 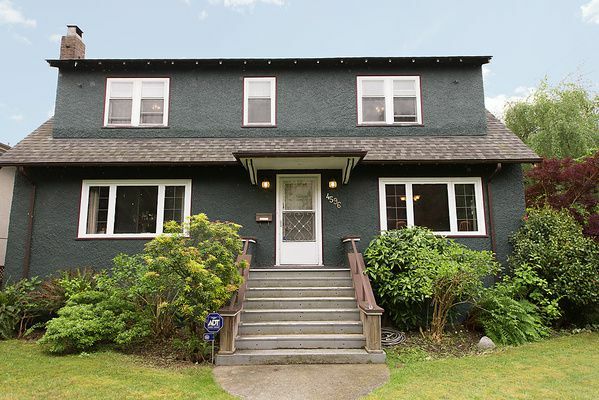 A Traditional family home, well maintained with X Hall living / dining rooms, Oak Hardwood floors,family room off kitchen with sliding glass doors to sunny sundeck.4 bedrooms upstairs plus a suite, recreation / media room in the basement. Beautiful PRIVATE mature backyard with an abundance of fruit trees including 4 apple & 1 plum tree and raspberries! An ideal family home to hold and build your custom dream home in the future and sell the 2nd lot. East walking distance to 10th Avenue shops, Trimble Park & Queen Mary School. Lord Byng catchment & UBC all close.